Click the button below to add the Green Glow in the dark powder to your wish list. 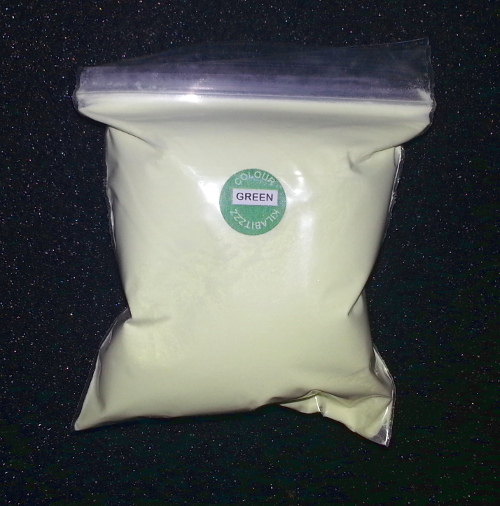 GREEN Glow in the dark powder. This is our standard particle size (40-65um). we also do a finer particle size more suitable for watch hands and airbrush use etc.